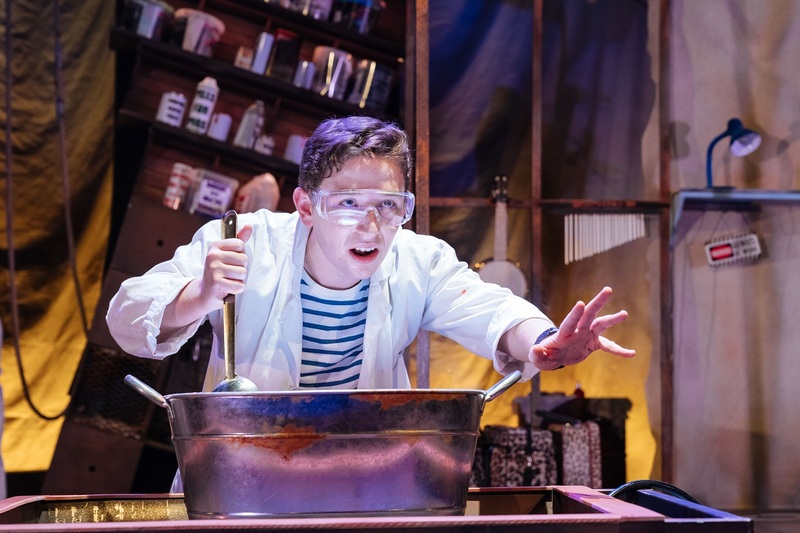 We were lucky enough to be invited along to see George’s Marvellous Medicine at Aylesbury Waterside Theatre this week. My eldest daughter received George’s Marvellous Medicine in her stocking last Christmas and she loved it so much she read the whole book on Christmas morning. When I told her we were going to see the live adaptation she was very excited. Many of us have a grandmother who is warm, kind and loving, but when George’s Grandma comes to stay on the family farm we can see she has none of those qualities. In the story George’s demanding and selfish Grandma is unwell and announces she is coming to stay, sending the whole family into a panic. Instead of being grateful and appreciative of the family’s efforts to make her welcome, Grandma is unpleasant and mean. George dreams to have a thoughtful and loving Grandma and gets a little creative in trying to make that happen! This adaptation by David Wood is hilariously funny, visually engaging and had my 2 girls entertained from start to finish. Preston Nyman’s (Ben from Ben and Holly) portrayal of George was excellent and he had the whole audience captured as they all helped him to remember every ingredient that went into his marvellous medicine. The rest of the cast were equally as good with Lisa Howard as the selfish Grandma and Catherine Morris and Justin Wilman as the panic stricken parents. In summary we had a very enjoyable evening and I would highly recommend it.